Jessabella Reads: September New Release Giveaway: Win 1 of 15 September YA releases! September New Release Giveaway: Win 1 of 15 September YA releases! The August New Release Giveaway Hop is hosted by Book Twirps & Refracted Light Reviews. One winner may select one of the books pictured below. 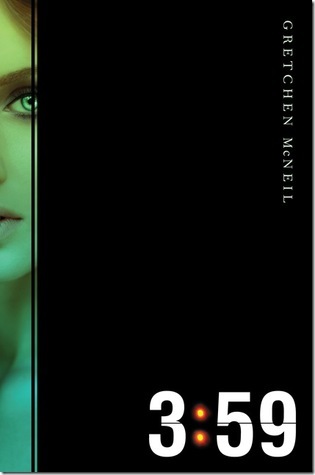 Click the book covers for Goodreads. I have a good many of these so I'm going with Fangirl and Antigoddess. Heard great things about them both. Great giveaway! Thanks! 3:59 looks really epic! Thanks for the giveaway! Antigoddess! Thanks for the giveaway! 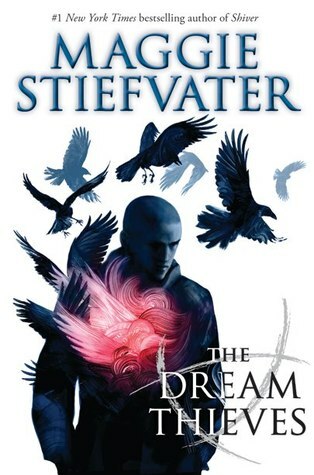 The Dream Thieves by Maggie Stiefvater :) I loved The Raven Boys so I'm really excited for the sequel! 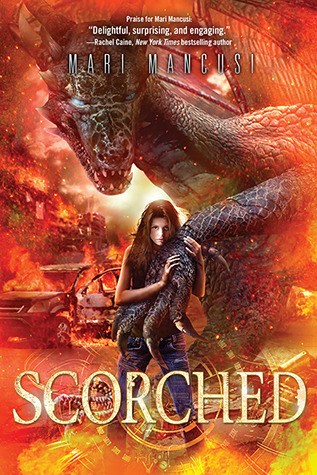 i do want scorched i love dragon and i like the idea of the specila cover that can be petted! i want! I've been looking forward to Antigoddess! I'm most excited to read Fangirl after seeing so many 5 star reviews on it! Looks great! Great choices! Thanks! I'd pick The Clockwork Scarab. Thanks for the giveaway! They all look good but I'm probably most excited for The Dream Thieves since I just finished the first book. Thanks for the giveaway! I would chose either Froze, Scorched, or InHuman. I really can't decide between Fangirl, The Chaos of Stars, and The Coldest Girl in Coldtown! I'm interested in Scorched because I adore dragon stories, Fangirl because I can relate and Chaos of the Stars for the mythology stuff. I might choose Antigoddess or Fangirl, not sure yet! Thank you! 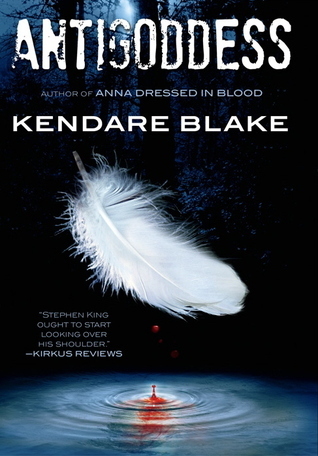 I'd like to read Antigoddess by Kendare Blake. Thanks for the giveaway. I would love to win any of these books i love to read. 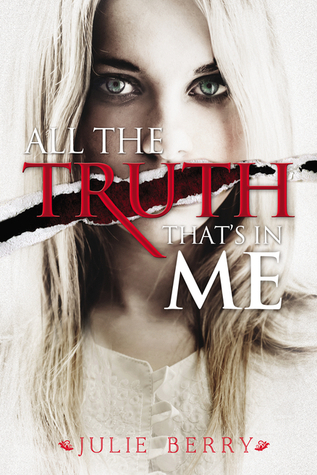 I would love to win All the Truth Thats In Me bu Julie Berry. Thanks for the awesome giveaway! I would have to say Frozen, well because i am a HUGE fan of the Melissa's Blue Bloods series. can't wait to open up that book and read it and see if it's as good as Blue Bloods. I would love to win The Dream Thieves! I read the first book and can't wait to know what happens next. I'm excited for Antigoddess. I love Kendare Blake's writing! September has SO MANY books im excited for!! a few are A Radiant Sky,Scorched,Project Cain,Antigoddess,Frozen..and on and on.. Im most excited for Antigoddess- i have read the author's Anna's books and loved her writing style!!! 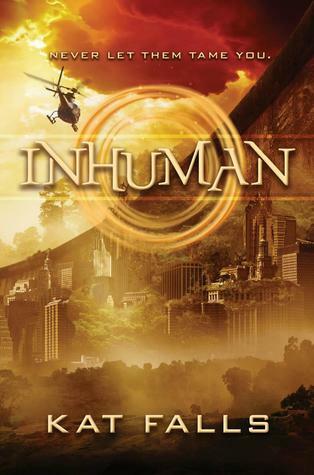 I'm torn between Scorched and Inhuman :) Thanks for the awesome giveaway! Untold by Sarah Rees Brennan for sure! I still am reeling from the cliff she left us on in Unspoken! So many great choices! 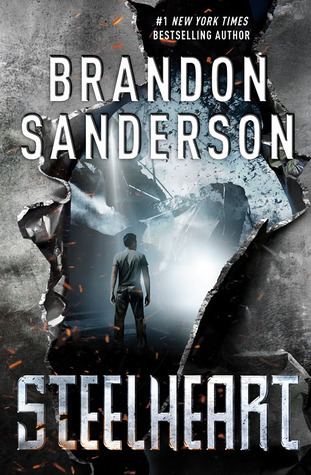 I'm excited about The Dream Thieves, Steelheart, Inhuman, and Scorched. I'd love to win any of these. Thanks! 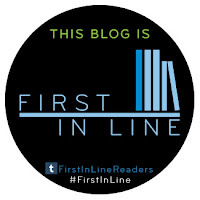 I am thinking I would pick Frozen by Melissa de la Cruz because I never read a book by Melissa de la Cruz yet! thanks for the awesome giveaway! I have had my eye on The Coldest Girl in Coldtown; first drawn in by the awesome cover art and later by reports I have read about it. I would love to win The Chaos of Stars. The story sounds very good, my favorite genre. 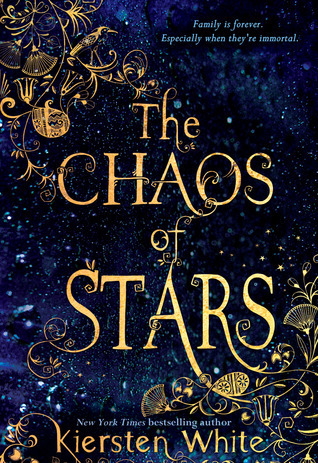 I would pick The Chaos of Stars because of Egyptian Gods and it just sounds really good and the cover is pretty! Thank you for the giveaway! I am excited for Frozen (because I love Melissa de la Cruz's writing) and Coldest Girl in Coldtown (heard a lot about this book). I've been waiting on Antigoddess for a while, the mythological element is interesting and I'm a sucker for anything with romance, especially when it has to do with Greek gods like Apollo :) I'm also looking forward to The Dream Thieves! The Coldest Girl in Cold Town looks great! I'd most like to read Antigoddess, becuse I really liked Anna Dressed in Blood. The Coldest Girl in Coldtown. It sounds like a really great book. The Waking Dark sounds intriguing. 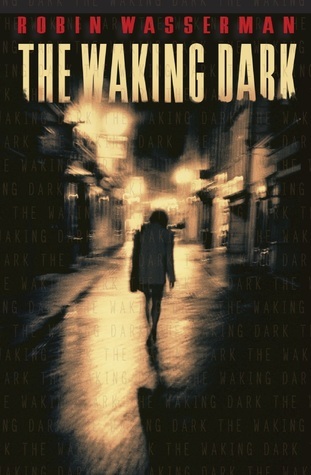 I'm really excited for The Waking Dark because I've loved Robin Wasserman's other books and this one sounds so creepy! I'd choose THE CHAOS OF STARS. I am most excited about *Fangirl* & *Antigoddess*. I have heard so many good things about both. Fangirl, Antigoddess and The Chaos of the Stars are all ones I'm interested in. Thanks for the great giveaway! I'm excited to read most of them especially The Dream Thieves (!!! ), Fangirl, Antigoddess and The Coldest Girl in Town. Thank you! The Waking Dark. Love creepy novels. 3:59 I love her books. Untold! I've been following this series, and I've loved it! I really want to read The Dream Thieves :) Thanks for the giveaway! I'm super excited for Fangirl! So many of these are fantastic books!! I would love to get my hands on The Coldest Girl In Coldtown (First Pick) Frozen,AntiGoddess,The Walking Dark,and Untold would all be great also. Thanks for such an amazing giveaway!!! Fangirl based on the synopsis. It's closer to what I've been reading lately. Coldest Girl in Coldtown- it sounds and looks really good. I'd love to read 3:59. The story sounds unique and interesting. 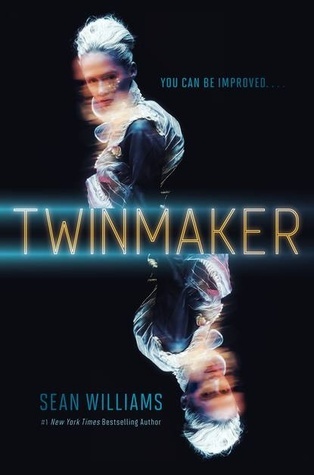 I'm curious to see how swapping lives with your doppelganger would be like. Thanks for the giveaway. I'm most excited about Dream Thieves. I absolutely loved Raven Boys and I can't wait to see what happens next! Though, there are a few others on the list I've been looking forward to. The Dream Thieves because I want to start this series and I have never read Maggie's books before! I would want to win Fangirl! Looks great. Frozen because its by Melissa De La Cruz and I love her. 3:59. I'm dying to read it. Thanks for the chance to win! I really loved Fangirl, but would love to win it as an actual book and i'm really looking forward toi reading All the Truth That's in me.. I am most excited about Fan Girl because it has received great reviews and I want to know how Cath deals with living on her own. 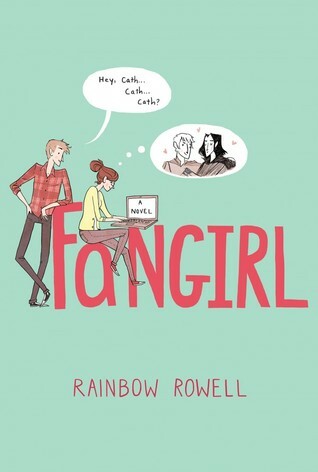 I'm really excited about Fangirl because I'm a huge fan of Rainbow Rowell's! I'm excited about Fangirl.Read many great reviews about it and definitely love Rowell's book after read Attachment. Gaah have read the reviews for Fangirl and am really excited! I'd love The coldest girl in coldtown 'cause I find it a pretty reality-fantasy combo, or The chaos of stars 'cause it kinda like a modern myth O.O amazing! Definitely fangirl is my most anticipated read of this month! I'd choose 3:59! Thanks for the giveaway. I would so loved to read Scorched by Mari Mancusi! it's just looks so cool!! I'd choose Not A Drop To Drink. For the 'follow by bloglovin', I entered the wrong entry. Sorry about that. My bloglovin username is Amie. That is such a hard choice! September has the most amazing YA releases. It'd be between The Coldest Girl In Coldtown, Antigoddess, Steelheart, or The Chaos of Stars. Great giveaway! 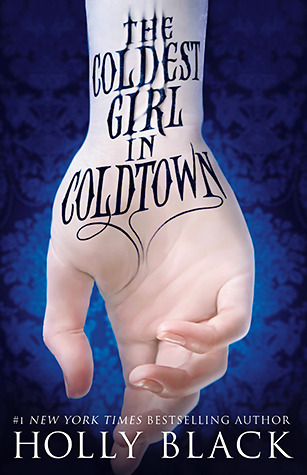 I would love to read the Coldest Girl in Coldtown.. seeing that cover for awhile now and just sounds fasciniating. I would love to win Frozen. Thanks! I forgot to put the why. I love Melissa de la Cruz and I'm intrigued by the blurb to this one. Antigoddess because it is Kendare Blake! 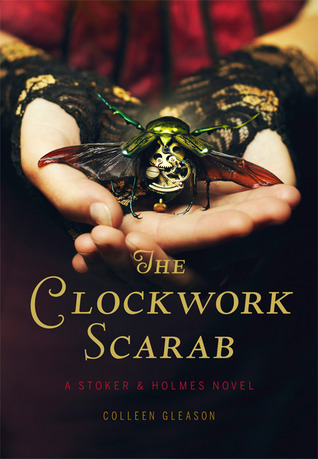 The Clockwork Scarab because it sounds really stinkin cool and the cover is awesome. The Dream Thieves because the author can literally do no wrong. She is amazing! I'm excited for Fangirl. I heard so much good things. 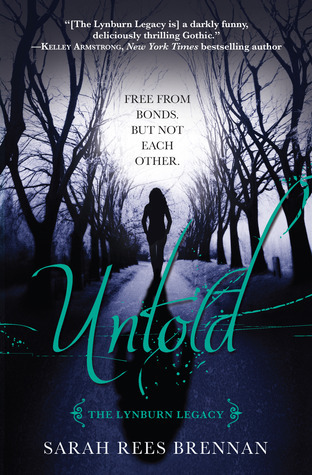 I would like to read Untold the most! 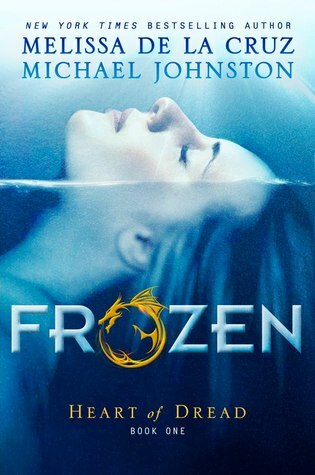 I am so EXCITED to read "Frozen". I love Melissa de la Cruz!! And this new book sounds SO GOOD!! Thank you so much for being a part of this fun and awesome blog hop!! I would so loved to read Scorched by Mari Mancusi! The Walking Dark looks interesting. I would love to read The Dream Thieves! Im reading a lot of good review about it! Thank you! Fangirl - because I absolutely loved Eleanor & Park, so I can't wait to read more from Rainbow Rowell. Perhaps The Coldest Girl in Coldtown, but there are a lot of great books coming out this September. I am excited about Fangirl, I LOVED Eleanor and Park! Antigoddess, I've heard it's full of action and awesome. Thanks for the giveaway! I would love to win Fangirl. I'm so so excited for Steelheart, Inhuman and The Waking Dark only with reading the synopsis I said "THAT BOOK SHOULD BE IN MY BOOKSHEL RIGHT NOW"